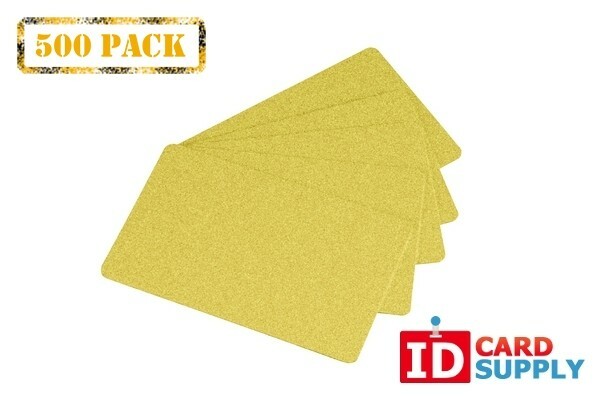 Pack of 500 Yellow Gold 30 Mil ID Cards | Order Today from IDCardSupply! Our yellow gold customizable PVC cards are premium cards that will guarantee you a professional ID or badge. From IDCardSupply, these premium PVC cards are the standard size of a credit card, and are perfect for use in direct-to-card printers. 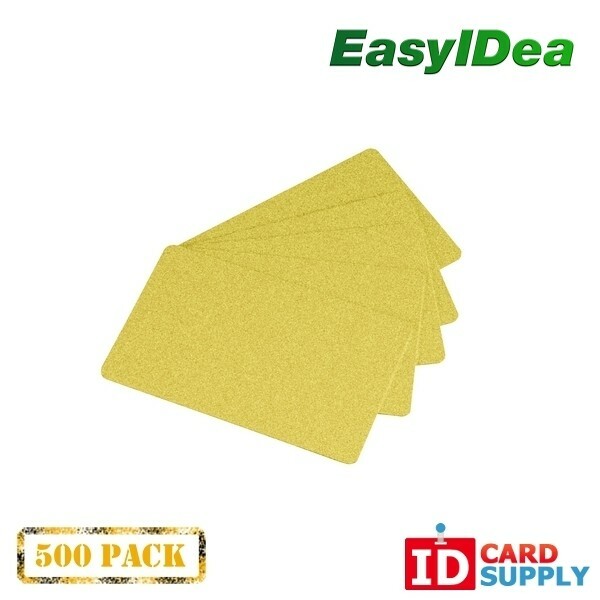 The bright yellow gold color will definitely be eye catching, ensuring that your ID cards are noticed.